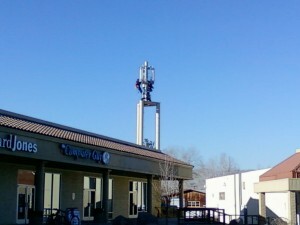 T-Mobile has a new cell site operating at the Northern Nevada Medical Center in east Sparks. CID 1316x. With the site’s antennas at the top of the multi-story hospital, this new cell site provides mid-level coverage to much of eastern Sparks. With the completion of a new T-Mobile cell site in west Reno on Summit Ridge Drive (CID 4360x), T-Mobile has surpassed at&t as the carrier with the most cell sites covering the Reno-Sparks city limits. The new site which is just to the southeast of McCarran and Interstate 80 brings the total number of T-Mobile cell sites to 40. at&t has 39 cell sites serving the Reno-Sparks city limits. However, just because T-Mobile has more cell sites does not necessarily mean they have better overall coverage. Part of at&t’s network operates in the 850Mhz radio spectrum, which generally covers a larger area that 1900Mhz which is where T-Mobile’s network operates. T-Mobile has been rapidly expanding their network this year in the Reno area, turning on 5 new cell sites in the past year compared to 1 new at&t cell site. You can view maps and a list of the number of cell sites per carrier on the Cell Site Locations & Coverage maps page. A new T-Mobile cell site is active in central Sparks behind 635 E. Prater Way in the Iron Horse Shopping Center near Prater & McCarran. CID 4346x. With the completion of this cell site T-Mobile is now tied with at&t as the carrier with the most cell sites covering the Reno/Sparks city limits. After the completion of another new cell site in west Reno, T-Mobile will have the most cell sites (40). A new T-Mobile cell site is under construction in west Reno on Summit Ridge Drive, just to the southeast of McCarran and Interstate 80. The site is co-located on an existing monopole that currently has antennas for Cricket. 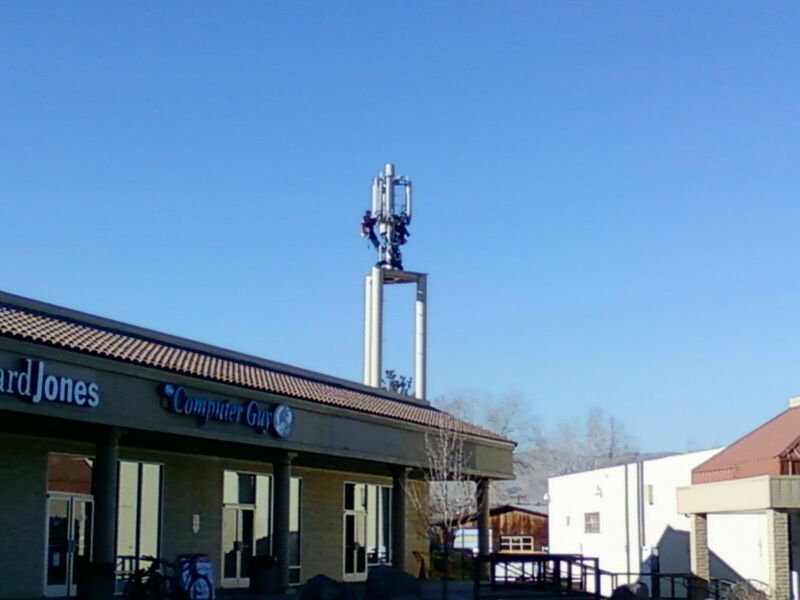 A new T-Mobile cell site is currently under construction in central Sparks behind 635 E. Prater Way in the Iron Horse Shopping Center near Prater & McCarran. Once complete, T-Mobile will be tied with at&t as the carrier with the most cell sites serving the Reno/Sparks city limits. 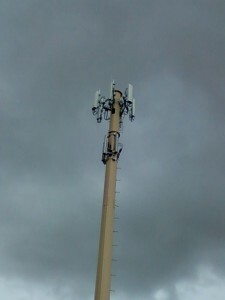 A new T-Mobile cell site was recently put into service near the corner of Vista Blvd. and Baring Blvd. in east Sparks. The antennas are disguised in a flagpole located in the shopping center at the northeast corner of the intersection. CID 4334x. 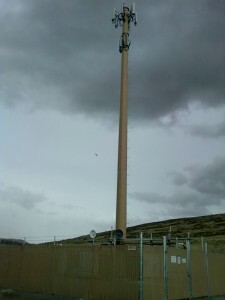 T-mobile has placed their antennas atop a newly-heightened monopole behind Wal-Mart on Damonte Ranch Parkway and South Virginia Street. 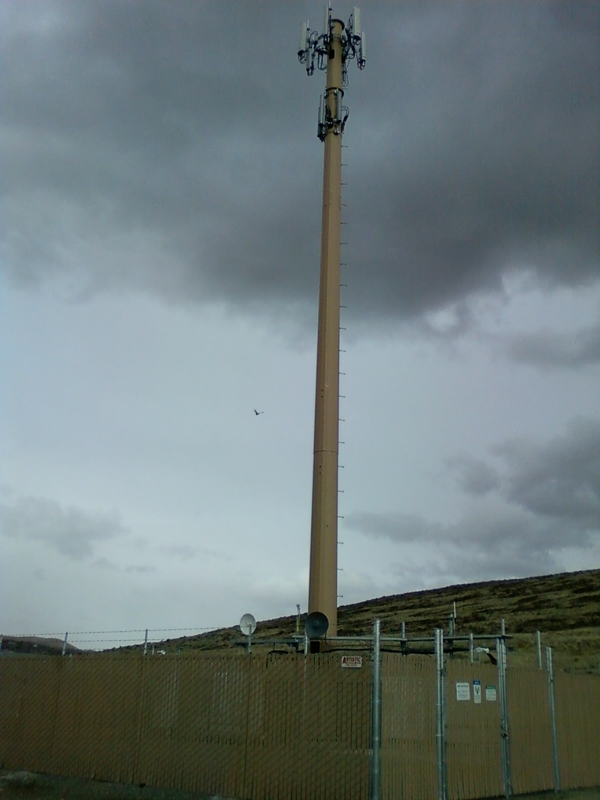 Their antennas are over 100-feet high, providing improved coverage in the south Reno area. CID 1326x. See our maps to compare cell site locations for all carriers.